SpaceVR is a startup that is planning to shoot VR cameras into space, so that subscribers to their service back on earth can see the planet from an astronaut’s point of view, in full 360-degree VR glory. 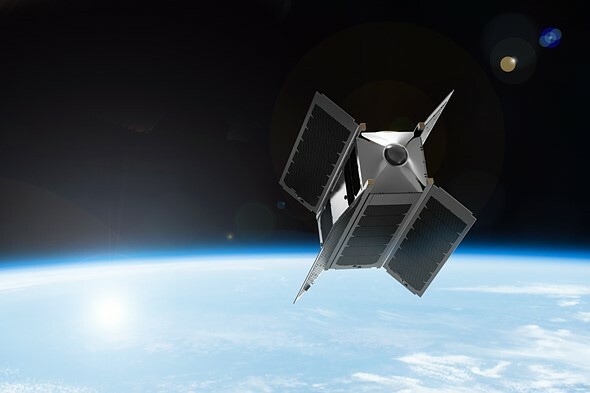 The company has made a huge step towards reaching this goal by signing an agreement with aerospace company NanoRacks which, if all goes to plan, will launch the first SpaceVR camera satellite, called Overview 1, into space sometime in 2017. Overview 1 is a small cube satellite that carries two 4K image sensors with super-wide lenses. Video footage from the two modules would be stitched into a 360-degree spheric video panorama and transmitted to earth where it would be accessible via a wide range of VR viewing devices, including Oculus Rift and smartphones. The satellite will be delivered to the International Space Station (ISS) with the SpaceX CRS-12 Mission in 2017. NanoRack will then then deploy it into a low earth orbit using its CubeSat deployer. Once in place SpaceVR will have full altitude and flight control over the satellite. This is all good news for SpaceVR after initial attempts to raise funds for the project on Kickstarter had failed in 2015, and plans to install a more ambitious 12-camera system directly on the ISS had to be abandoned. If you’ve always wanted to see the earth through an astronaut’s eyes, and have sufficient faith in the project, you can pre-order a one-year subscription to the service on the SpaceVR website now.